Cecilia Mary Schuh (Sally) passed peacefully on Holy Saturday March 31, 2018, at St. Anne’s in Winona, MN. She left just as the greatest celebration the Easter Vigil was beginning. Born Cecilia Mary Schad on February 22, 1920 to William and Isabel (Ferguson) Schad at Elgin, MN. She attended the College of St. Teresa and graduated from the University of Minnesota. She was employed by the Mayo Clinic, where she was active in the Mayo Clinic Woman’s Club and played on their softball team. Cecilia married Maurice Francis Schuh on May 13, 1944 at St. Joachim Catholic Church, Plainview, MN. He died August 24, 2002. When Maurice returned from the Service, they moved to Winona. They enjoyed traveling in the United States & Europe, dancing and playing music, which they shared with many. She also enjoyed bridge, reading and writing notes. As a youth Sally treasured singing and dancing in programs with her sister Dorothy. She was especially delighted to dance the Charleston on her 50th wedding anniversary just as her Grandma Ferguson had done! 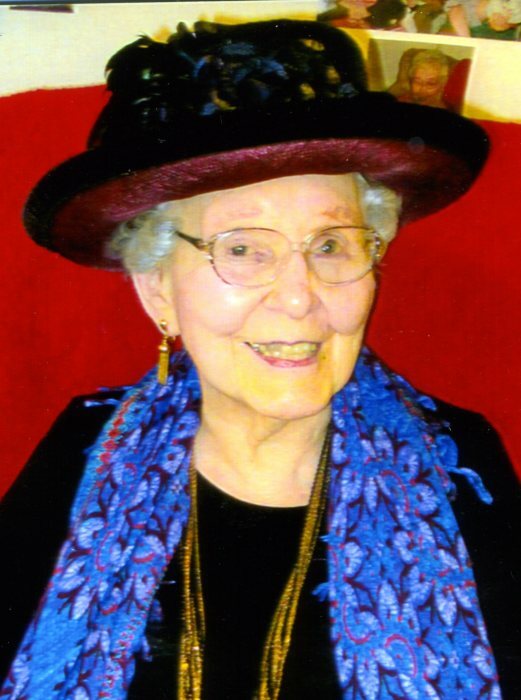 Cecilia was a member of St. Mary’s Catholic Church and sang in the church choir as well as in the AAUW Trio, the School Belles and the University Chorus. She belonged to the University of Minnesota Chorus, Glory of God Prayer Community, Winona Council of Catholic Women, Saint Mary’s Rosary Society, University of Minnesota Alum Association, Phi Delta Business Sorority, Teresan Chapter, Winona Hospital Auxiliary, American Association of University Women, Westfield Golf Club, Upper Mississippi Jazz Society, Winona County Historical Society, Minnesota Citizens Concerned for Life, Birthright, a number of bridge clubs and also was an officer in several organizations. She is survived by two sons, William (Chiu Chiung) Schuh of Mandan, N.D., and Gregory Schuh of Fountain City, WI: two daughters, Anita (Joe) Sabol of Bloomington, MN, and Marianne Dussel of Apple Valley, MN: 9 grandchildren, Christopher (Brittany) Sabol, Cecilia (Joe) Cooley, John (Shanna) Sabol, David (Bethany) Sabol, Jack (Mary) Schuh, Jonathan (Laura) Dussel, Meghan (Matthew) Letnes, Kristen Dussel and five great-granddaughters and a great-grandson; and a brother and sister in law Jack Schuh and Mary Gosse and nephews and nieces. She was preceded in death by her parents, husband, infant son, David Schuh, granddaughter Mary Schuh, brother William Schad and sister Dorothy McCullough. A visitation will be on Monday, April 9, 2018 at Fawcett Junker funeral home from 4 – 7 p.m. with a prayer service at 6:30 p.m. Mass of Christian Burial will be at St. Mary’s Catholic Church on Tuesday, April 10 at 12:30 p.m. with visitation from 10:30 a.m. to 12:30 p.m. in the Visitation Commons. Cecilia’s grandsons will be pall-bearers. No Memorials. And things are not really what they seem. And the grave is not the goal.